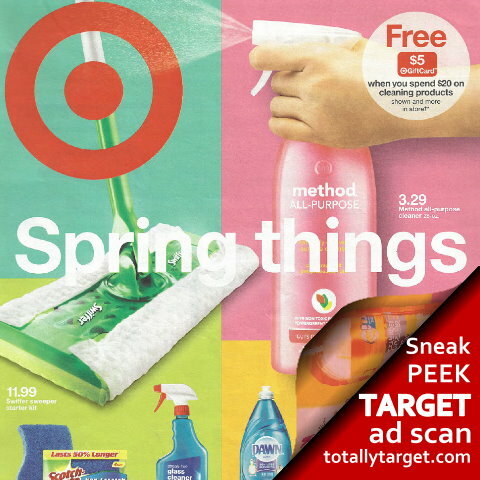 This week thru 4/6, Target is offering up a FREE $10 Gift Card wyb 3 select household items. 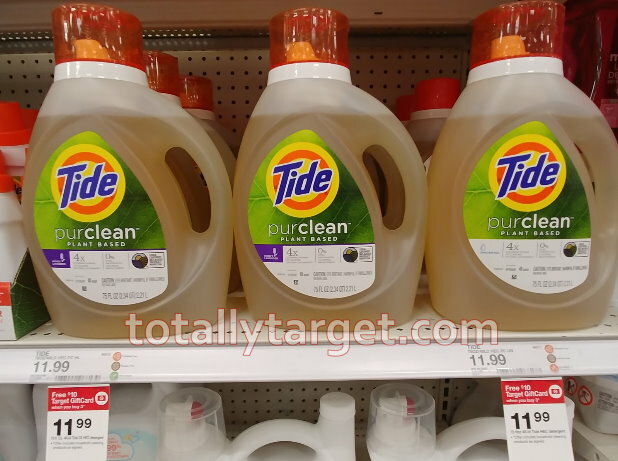 Tide Purclean laundry detergent is included, and we have a new Target cartwheel offer to save even more. Even better, there’s a manufacturer’s coupon to make for savings of over 50%…. Keep in mind you can mix & match with other products included in the gift card deal, and you can check out my Best Deals of the Week post for more ideas. 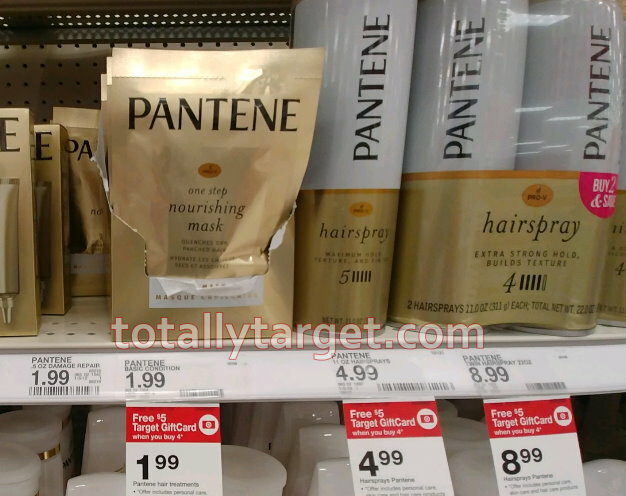 Also to mention- there are single nourishing 1-step hair masks included in the gift card offer for just $1.99 each. I am leaning toward this being considered a trial size, however even without using any coupons at all, if you are a fan it’s a savings of over 60%…. These are the best deals I see for the week of 3/31 – 4/6. (You can get the links to the ad scan and the ad typed up with matchups on my weekly ad page HERE). You can also check out the Special Deals Page for more unadvertised offers. Next week on 3/31, we have a super-nice, in-ad Target coupon coming for a FREE $5 Gift Card with the purchase of $15 or more of any cheese. 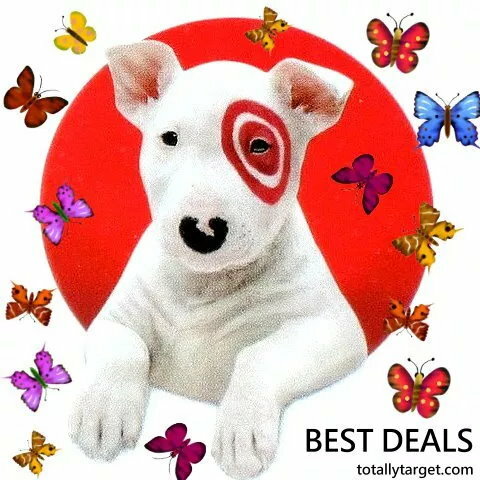 (or find this coupon in the Target app). This coupon will be valid 3/31 – 4/6, and makes for over a 30% discount all on it’s own, but since it is a threshold coupon, you can stack other coupons & offers for individual items with it. 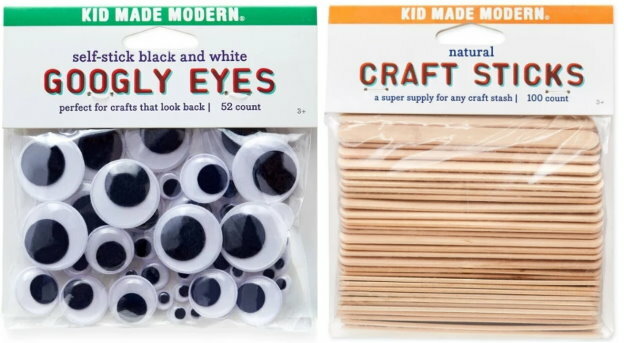 There will be lots of ways to mix and match – but here’s just a couple ideas for you..
We got a new Target Cartwheel offer this week to save 25% on Kid Made Modern Craft Supplies that can be used both in stores & online at Target.com. If you are ordering online, the cartwheel can only be used when you add the offer in the app first, and then choose Drive-up or Free store pickup if available. This cartwheel is valid all the way thru 4/13 and does exclude complete kits and paper mache. It can be used on all other Kid Made Modern art supplies and prices start at $1.74 so as low as $1.30 after cartwheel. If you’ve got a young one into arts & crafts, these may make for some nice Easter Basket stuffers too. 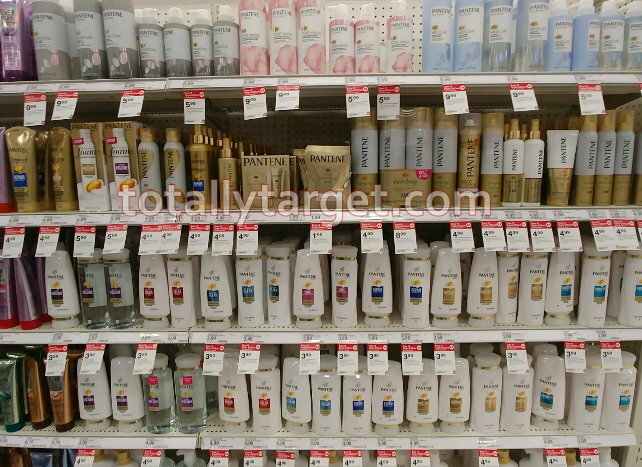 Here is the Target Ad for 3/31 – 4/6 with coupon matchups. (You can check out the ad scan and My Best Deals of the Week post on my weekly ad page HERE). I will add any more matchups to this post as I find them and if you can think of a mainstream coupon I’ve missed please let me know in the comments. Here is the ad scan for 3/31 – 4/6. You can check out the ad typed up with coupon matchups HERE, and my Best Deals of the Week post HERE. 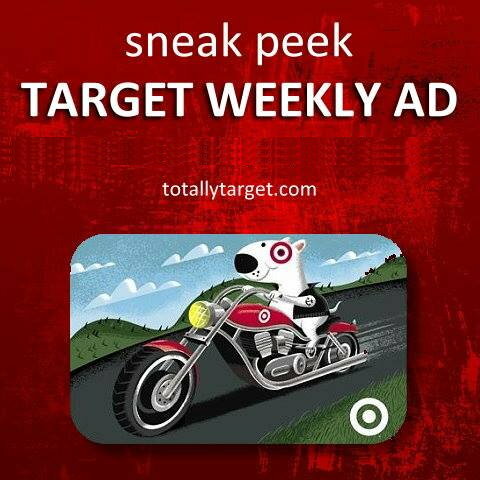 But you can always view all the quick links for the Target Weekly Ad on my Page HERE. 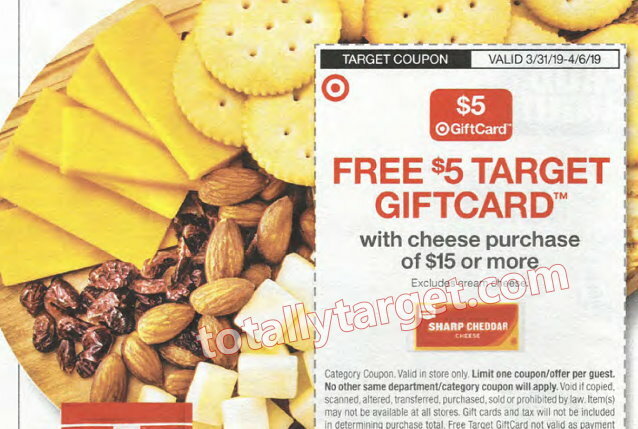 This week we two in-ad Target coupons to save on groceries, including a rare one for a FREE $5 gift card when you buy $15 or more of cheese. There’s also one to save on Pepsi brand sodas and Frito-Lay snacks that will be good on quite a few products. In addition, we have a third in-ad Target coupon to save in the baby department that will be valid on diapers, baby food, toiletries and more. 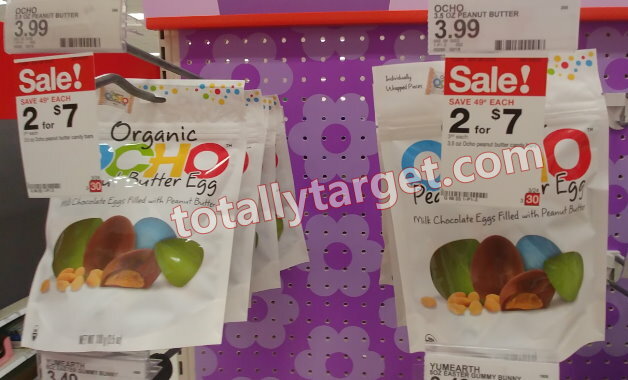 You will also be able to find these coupons in the Target app starting on 3/31. Plus, there are also other Gift Card and special purchase deals in Health & Beauty, Electronics, Pet and other parts of the store as well. So be sure and stay tuned for matchups & deals coming! Please keep in mind when viewing the following that some prices/sales/gift card and special deals can vary by region. There are $5 in new printable coupons available to save on select Sally Hansen products. To find these coupons fast, just go HERE and look for “Sally Hansen” in the brand drop-down menu and click on “go” again…. Target sells Sally Hansen Hard as Nails PSA $2.49, so as low as $1.49 each after a $1/1 Nail Care coupon. 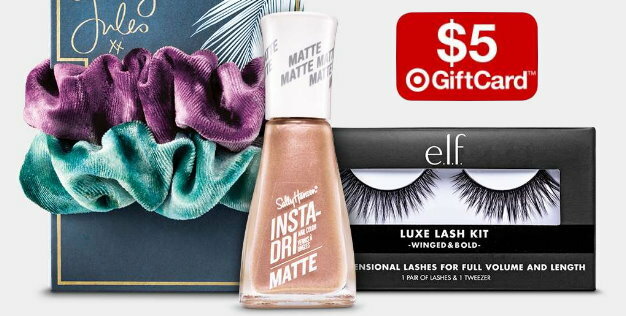 However, this week thru 3/30, Target is offering up a FREE $5 Gift Card wyb 3 select festival beauty products. Sally Hansen Insta-Dry Matte Matte Metallics nail colors are included with prices starting at $4 to make for a great deal…. Please remember sales can vary by region and deals listed below are thru 3/30 only.For more on this weeks’ sales and deals- you can always check the Weekly Ad Page at the top of my site. This page always contains links to the complete current ad with a full matchup and my Best Deals of the week post. Watch for lower priced products to be included in this week’s offer for a FREE $5 Gift Card wyb 2 select eye care products. 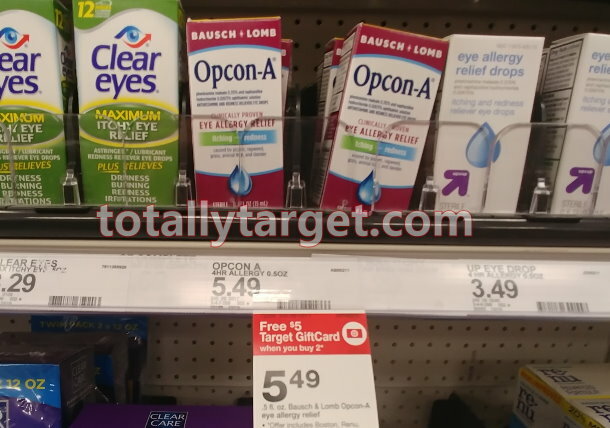 The 15 ml bottles of Opcon-A are included at $5.49, and there’s a coupon to make for a nice discount…. And, don’t forget you can also get some big savings on Soothe XP eye drops…. There’s other eye care items included in the gift card offer, so here’s a few additional coupons that could come in handy….